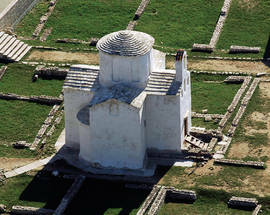 takes you on a journey of Ancient Churches and Castles of Zadar County. Like other regions of Croatia, Zadar County has a myriad of spectacular and fascinating castle ruins and ancient churches. Because it was the heart of the medieval Croatian kingdom, a key trading post and militarily important in controlling the northern Adriatic Sea, this region is particularly rich in castles and history. For millennia, the area that is now Zadar County has been the front line in the struggles between various empires and ethnic groups: the Romans vs. the Visigoths, the Venetians vs. the Turks, the French vs. the Austro-Hungarians and most recently the Serbs vs. the Croats. 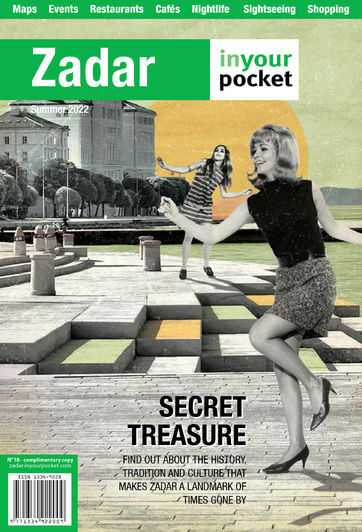 Fortunately for the modern visitor, the only struggle these days is deciding where to go sightseeing first! The sea, hilly islands and Velebit mountains add a dramatic backdrop to ancient buildings. If one starts in Zadar and proceeds on a clockwise circuit of the county, the first notable town encountered is Nin, 16 kilometers north of Zadar on Route 306. It has the oldest church in Croatia, the tiny, Romanesque Church of the Holy Cross (Crkva svetog Križa). An inscription on the lintel is dated 800 A.D. On the south side of Nin, just outside the town, is another tiny church, St. Nicholas’s (Crkva svetog Nikole), which was built in the 11th century. Located on an ancient burial mound, it’s easy to spot. When the Ottoman Turks occupied this area in the mid-16th century they refortified St. Nicholas, adding the crenellated top. It makes the church look like a miniature castle. After the Venetians drove the Turks out in the following century, St. Nicholas was refortified again. a bridge at kilometer marker 276 on the north bound side of the Zagreb – Split highway. That view will entice you, but it is not possible to reach the site from there. You need to drive about 2 kilometers west from Benkovac on route 56. You will see a one lane, macadam road going up to the left and across railroad tracks. The road leads to a private homestead on the edge of a flat, cleared, gravel area. When the road curves sharply to the right you should turn left and cross the cleared area towards some pine forest. A gravel track runs along the south end of and then into the woods. At a dip in the track take the right fork. Follow this track (ignore others) and after about 100 meters you will head down and see the castle through the trees. Perched on the edge of a stony ravine, it is an impressive sight! Be sure to take a peek through the tower door to get a glimpse of the intact roof. Feudal lords of the Kurjaković family built Kličevac at the end of the 14th century on a cliff above the Kličevica River. An extension was constructed in the 15th century. Kličevac’s inaccessibility did not prevent the Turks from capturing it in the early 16th century. Several senior Turkish government officials occupied the castle over the next 150 years. Cont inuing on our counterclockwise circuit of castles in Zadar County, Starigrad (“Old Town”) Vrana lies 11 kilometers south o f Benkovac via a secondary, but paved road. The modern day village of the same name surrounds the ancient, ruined, walled town. Much of the town walls remain, and the remains of a church are clearly discernable. Vrana also has had a turbulent history. Originally it was a Roman settlement called Blandona. In the Middle Ages it was a Benedictine monastery, but the Holy See gave the town to the Templar knights in the 12th century. In 1312 Vrana came into the possession of the Templars’ rivals, the Knights Hospitaller, who served not only as combatants but also as medics in the Crusades. 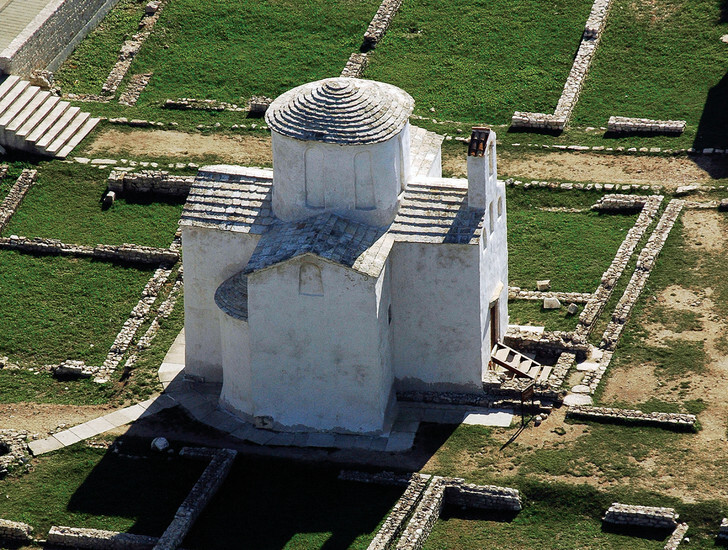 For two centuries Vrana’s prior was wealthy and influential, owning 40 other monasteries in the region. As with nearby towns, the Turks overran Vrana in the early 16th century. 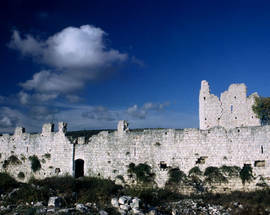 A Turkish military commander, one Alibeg Atlagić, re-fortified the town. 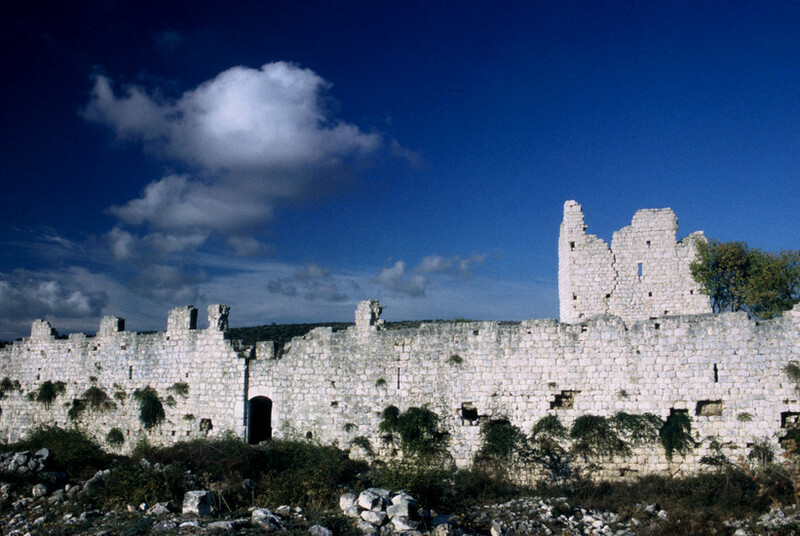 When the Venetians captured Vrana and evicted the Turks in 1647, they destroyed much of the town’s fortifications. If you are feeling adventurous, take a ferry from Zadar to Preko on the island of Ugljan, a journey of 20 minutes. 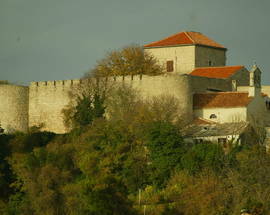 About three kilometers from the ferry pier is the castle fortress of Saint Michael (“Sveti Mihovil”). It is perched on the highest point of the island (265 meters) and there are spectacular views in every direction, particularly of Iž Island and Dugi Otok (“Long Island”) to the west, but also Zadar to the east and countless Adriatic islands to the south. When you drive up from the ferry pier, turn right on the main road. After a kilometer or so take the narrow but well paved road that leads up to the west (left). There is a sign pointing the way to the castle (will wonders never cease!?). You can drive all the way, but there are several walking trails that ascend to the summit, too. Various monasteries were located at Sv. Mihovil beginning in the 10th century. 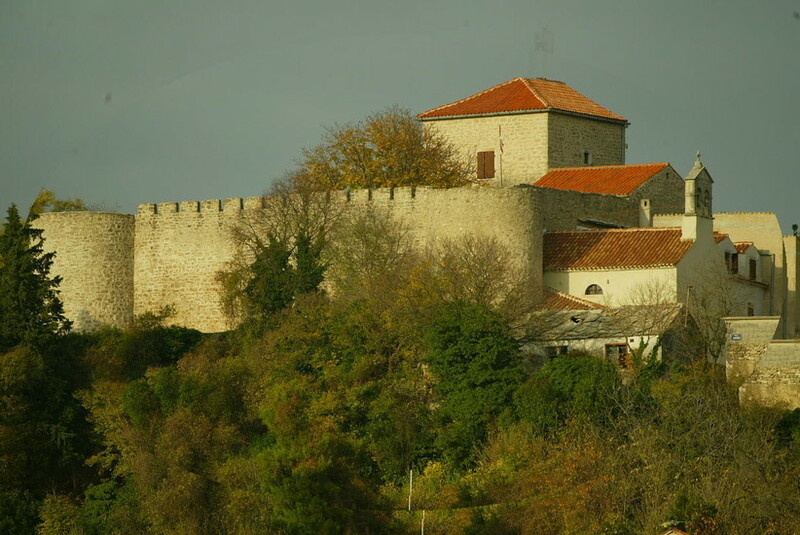 The Venetians fortified Mihovil in the 13th century as an observation post. Because the site is so advantageous for this purpose, the Serbs shelled Sv. Mihovil in 1991. This is one place that the Turks did not succeed in capturing. Unfortunately, now a communications tower inside the walls of the castle mars the atmosphere somewhat. Nevertheless, this ruin is worth visiting because of the great views. As you travel around the county you may observe other hilltop ruins. There are many more, but those described above are the largest and most spectacular. The fact that they were built for military reasons and changed hands so many times reflects the strategic importance of the Zadar area through the millennia.